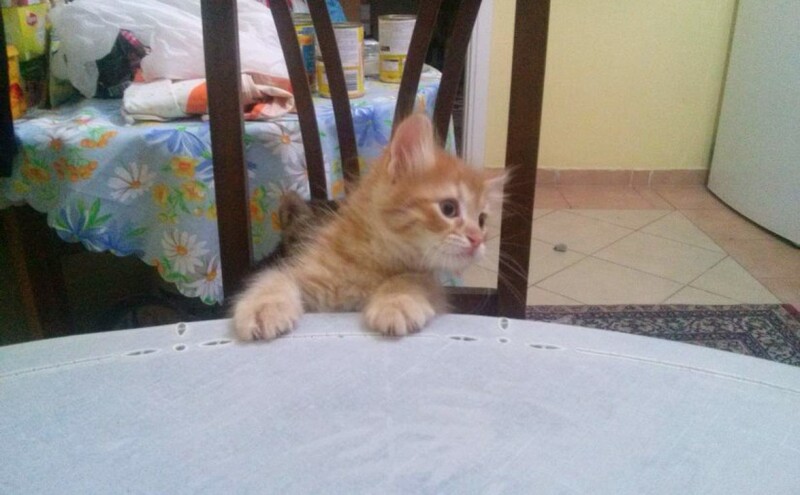 As the kittens growing up, they became really playful, even hyperactive. My dear Lotto took care of them very nicely, as usual. In the video below, the tuxedo and the male tabby fighting for the breast milk, while the yellow one playing with his mother’s tail. Here the seven-week-old tuxedo playing a rubber ball. Lotto and the kittens really like these balls. Lotto and the tuxedo kitty eating their meal. Five kittens are sleeping, stacked on each other. Lotto is nursing the kittens. What are you eating? I want some, too! Lotto… a tired but beautiful mother. Sleeping on my desk, using my arm as a pillow.